I’ve become more free in living out my dreams. While this is amazing, it’s a fairly new concept that I’m growing into more everyday. Living freely has been something that I have struggled with, even before I recognized that I was struggling with it. Most of my life, I’ve supported everyone else’s dreams, largely because I feel like I wasn’t worth having dreams of my own; let alone living them. (This is not coming from a place of pity, but one of self-reflection and truth.) I didn’t realize that I had such an unhealthy view of myself, but then again: You don’t know what you don’t know. I’ve even lived for other people, but I’ll save that for another post. Nevertheless, I have a new outlook about things. The crazy thing about having a different mindset is that I don’t approach things the same. I now react differently to trying new things. My mind is open. Now I think, “Hmm. That might be interesting to try. Let’s do it.” I’m not throwing caution to the wind, but just willing to try something new. Now’s as good a time as any, I say. That’s just it: Be willing. Be willing to try something, anything to change your life. Know that things can’t go as they always have been. It’s time for a change. Time is far too precious to be wasted. There’s a lot riding on this. But how did I get here? I don’t have a concrete answer for you. I’ll say that through my experiences, I’ve learned numerous lessons. More importantly, the lessons only grafted to my fabric because I applied them to my life. Only then did I move forward in my new-found courage. I believe that I had to go through certain things in order for the lessons to be long-lasting. I heard someone say this: “You don’t appreciate something until you have to work for it.” Indeed. I appreciate the things I’ve gone through, because they have helped me to become a better version of me. Who’s to say: Maybe I wouldn’t have appreciated my trials when I was younger? 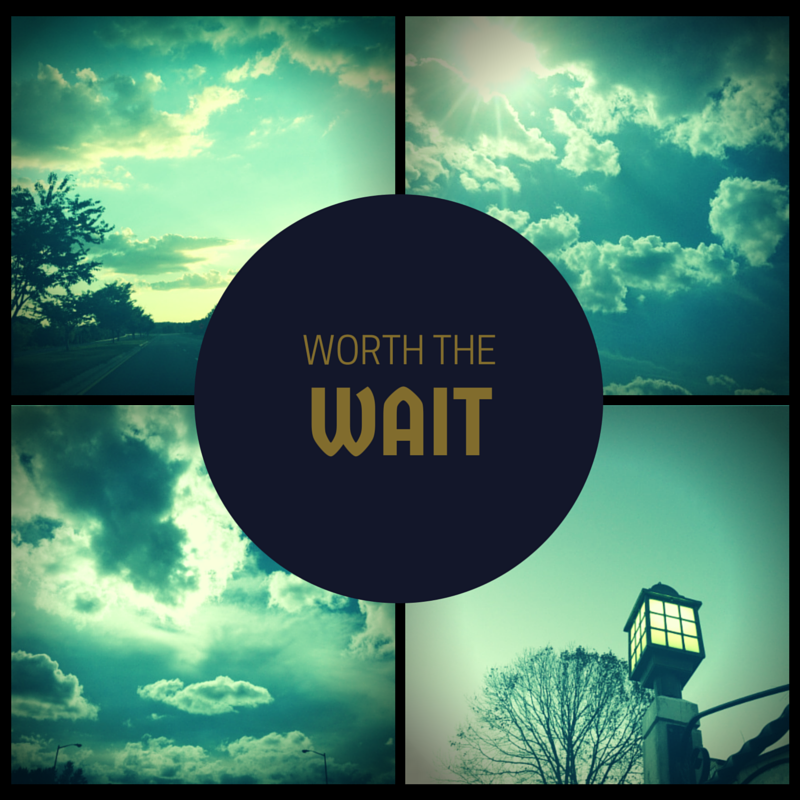 But I believe that it truly is well worth the wait.